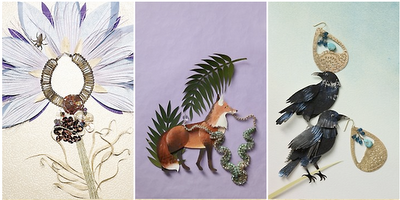 Have you seen the beautiful product photography Anthropologie has on their site right now? I was quite taken with it. They look like mixed media water color paintings. Oh, and they have a clever little stop motion video when you first click on the accessories page.